Thought leaders, faculty, and staff from Babson College are immediately available to comment on breaking news and world events via their ReadyCam broadcast studio. The live TV studio makes it easy for networks to connect with experts in the field of entrepreneurship at a moments notice. Babson College has installed a ReadyCam® broadcast studio on its Wellesley, MA campus to connect its faculty, staff, thought leaders, and entrepreneurs of all kinds with networks around the world, 24 hours a day. The studio simplifies the live TV appearance process and makes it easy for Babson’s experts to immediately participate in real-time TV interviews without leaving the campus. 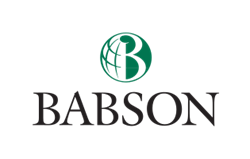 Babson College is recognized around the world as the educator, convener, and thought leader for Entrepreneurship of All Kinds®, consistently ranked one of the top business schools by U.S. News & World Report, Entrepreneur magazine, The Princeton Review, Money magazine, Financial Times, and more. Babson College experts are available for live or pre-recorded TV or media interviews, providing timely commentary on breaking news and events covering a wide range of topics. Experts are available from the College’s varied academic divisions: Accounting and Law, Arts and Humanities, Economics, Entrepreneurship, Finance, History and Society, Management, Marketing, Math and Science, and Technology, Operations, and Information Management. Babson boasts a faculty of committed and accomplished professionals, including experienced entrepreneurs, executives, scholars, authors, researchers, poets, and artists. Eighty-six percent of Babson’s full-time faculty hold a doctoral degree or its equivalent. Faculty lead and receive support from Babson’s academic centers and institutes: Arthur M. Blank Center for Entrepreneurship; Center for Women’s Entrepreneurial Leadership; Lewis Institute, Retail Supply Chain Institute, Richard W. Sorenson Center for the Arts, and Stephen D. Cutler Center for Investments and Finance. Faculty teach in the College’s Undergraduate and Graduate Schools, and in its Executive and Enterprise Education. To schedule an interview, contact Michael Chmura, director of public relations or Brianna DiPietro from Babson College media and public relations on 781-239-4549, or find and book Babson experts through the free VideoLink expert database--VLGuru.com. The ReadyCam video studio is a convenient, single camera HD video studio that only requires an internet connection to transmit broadcast quality, live video feeds to networks anywhere in the world. No additional technical staff is needed on site. The video studio is fully equipped with an HD camera, professional quality audio and lighting, electronic backdrop, recording options, web-based controls, and IP-based transmission. VideoLink professionals remotely control the video studio so talent can be ready to appear on live TV in less than an hour. To learn more about the ReadyCam studio and how it may be right for your organization, contact VideoLink 617-340-4200.